Sitemaps and Seo - First in Google? - Marketing: 35mm cameras and film - need help marketing your blog? The film is loaded begin clicking away… Get visitors to your blog! The perfect formula for a website! – Do you need help? Contact for a FREE web updating quote. Pentax cameras of the 1960s and 1970s came with fantastic standard lenses. The one above has an original Takumar 1:2/55mm lens, a great lens that is flexible and precise. Takumar is the name that Asahi Optical gave to its lenses, which are used on Asahi Pentax cameras. The model range included the original Spotmatic, Spotmatic II and IIa, Spotmatic F, plus the SP500 and SP1000. 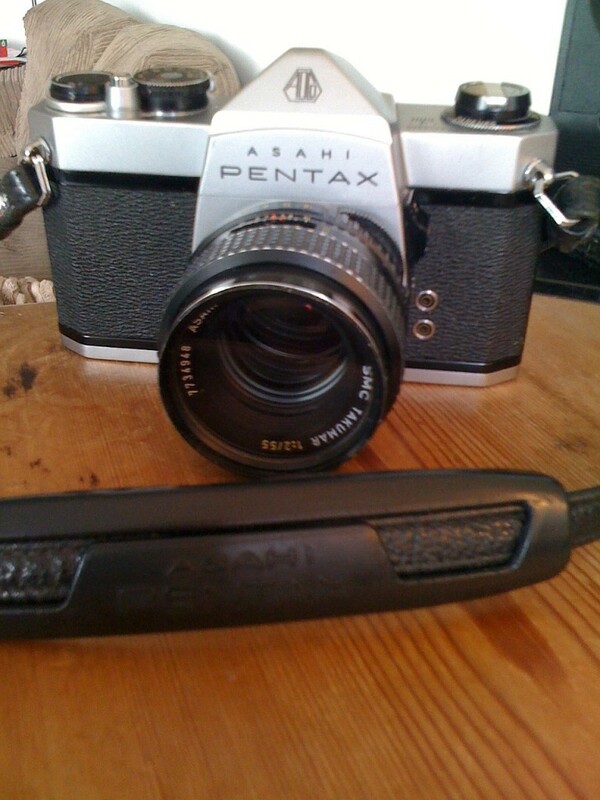 There was also the Pentax SL, which was identical to the Spotmatic except that it did not have the built-in light meter.